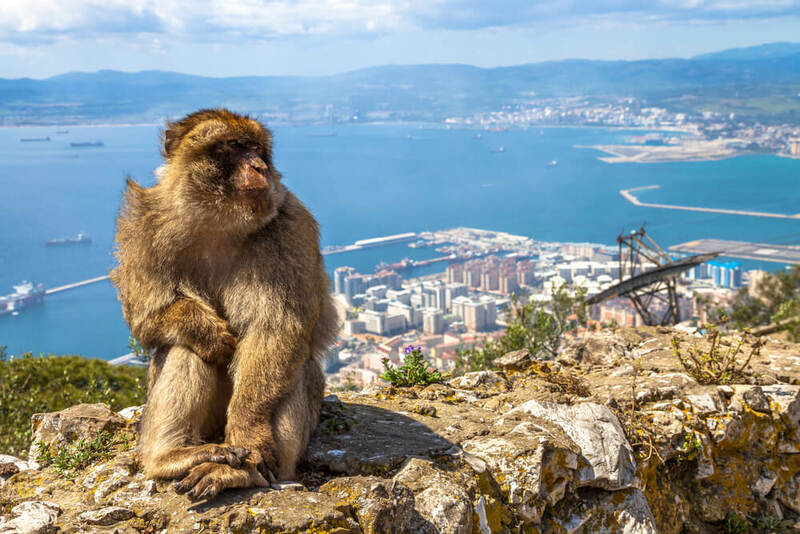 Undoubtedly among Gibraltar’s most popular tourist attractions, its Barbary macaques are commonly found in North Africa, but their presence here is believed to date back to when the British garrison was established in the territory and when it’s presumed, therefore they were imported; inevitably finding the rough limestone cliffs and scrub vegetation a congenial habitat. In fact, many legends have grown up around them; one being that they travelled from their native Morocco via a subterranean tunnel starting at St Michael’s Cave leading down underneath the Strait of Gibraltar. Romantic it may be but it endures to this day! And, another legend claims that, should the macaques ever disappear, the British will leave Gibraltar. 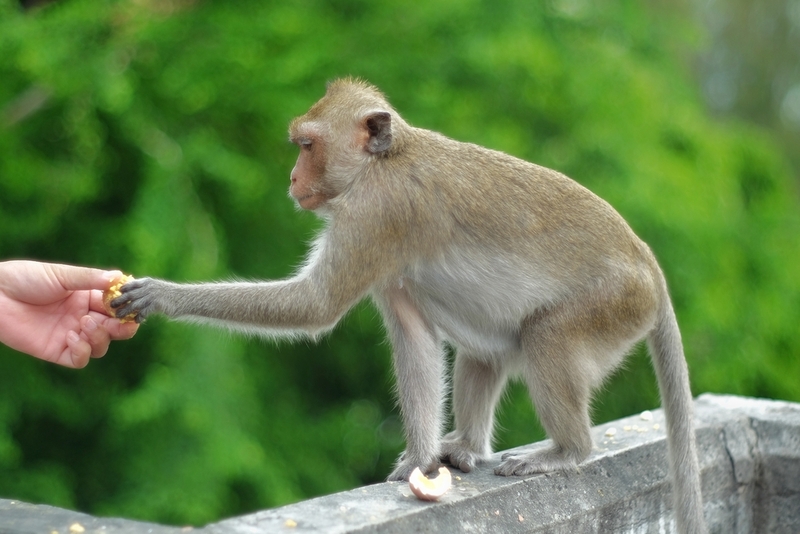 Indeed, during the Second World War, natural causes diminished the macaque numbers alarmingly yet, fortunately, then British PM Sir Winston Churchill took a personal interest and additional macaques were imported from Morocco. Today, in addition to the pack that’s resident at Apes’ Den, there are other packs living wild on the steep slopes of the Rock, which always popular, as you can well imagine, with visitors staying at accommodation in the territory and at hotels near Gibraltar. Primarily because the human population of Gibraltar wants these marvellous monkeys to remain living as they are, in a semi-wild state, it’s strongly advised for those visiting our territory (whether enjoying Gibraltar holiday packages or any sort of trip) not to get too close, feed or touch them. So, by all means take photographs of our simian ‘friends’, but please allow remember to allow them their natural, free way of life – for their benefit and the enjoyment of all. Conflict of interest – those that go to see macaques are generally fascinated by them and take pictures and/ or interact with them, but macaques don’t necessarily enjoy affection and yet, to their credit, have learnt to be tolerant of people… in order to stand a chance of obtaining treats, so always bear this mind! Give them space – finally, don’t get too close and never get between an adult and their baby.